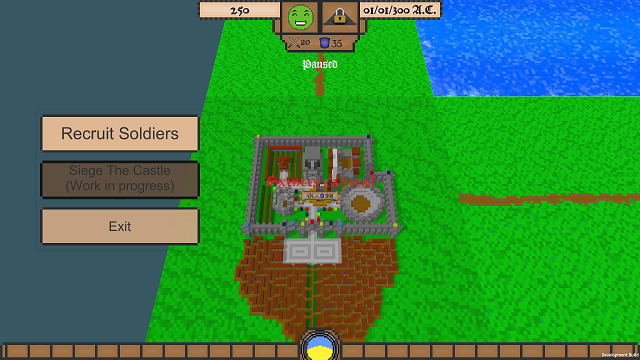 This is the first version of the game. "Version 0.1.0". We have a select number of features available to understand the concept. Even though there isn't much to do right now, the game will become more lively in the future version by adding new things to do and filling the gaps. -Hello! This is Belaniax and Wolderado. We will talk about the new, first playable prototype version of the game. Keep in mind this is a very simple version of the game and it is not very balanced or bugfree but we did as we could and you can probably play the game without much interruption. -This is the first version of the game. "Version 0.1.0". We have a select number of features available to understand the concept. Even though there isn't much to do right now, the game will become more lively in the future version by adding new things to do and filling the gaps. - The World Map is probably where you'll spend your time mostly in the future. 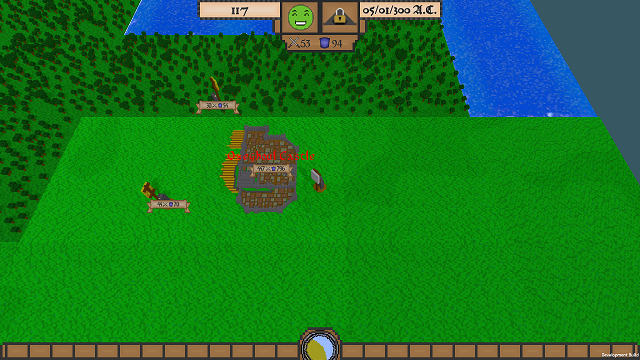 For now, you can interact with cities(friendly ones) observe or attack moving armies and bandits. - Currently, the game has three defense systems. One of them is parry. When you're not attacking anyone, your character blocks the next attack automatically. It costs more stamina as the blocked damage increases. We tried something new with this system. Give us your feedback on how it works! Next defense system is a dodge. This is a manual action and you can use it to gain brief invulnerability and dash in the direction of your choice. If you use dodge often it stamina cost increases exponentially. Last defense mechanism is your shield. It's a great way to defend against most attack types. It can block arrows and also use less stamina than parry. The drawback is it occupies one of your hand and you can't attack while your shield is up. Equipping a shield will be optional in later versions. - There are 5 nations in the land. They have a long history with each other. In this version, they will be in war all the time. 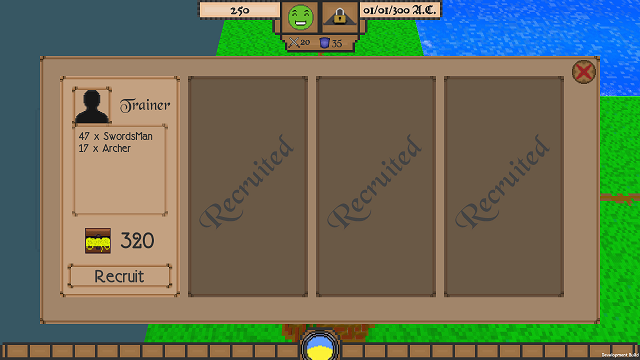 They gain resources and use them to recruit soldiers. Then they will use their armies to attack and defend their castles. 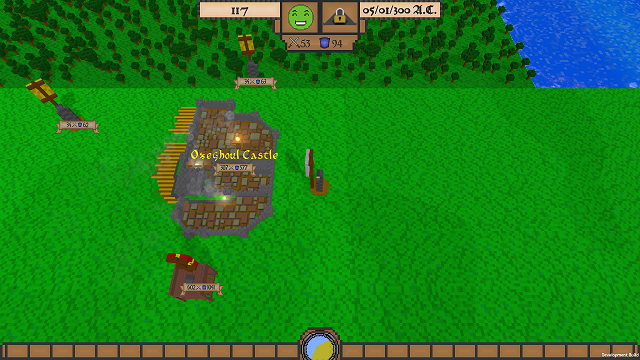 In the current version can see patrols roaming around the castles, supply armies marching to fortify castles and huge siege armies trying to siege strategically important castles. Although capitals can be captured too which causes the nation to collapse. Bandits patrol around villages to pillage naive groups. Deserters of war that escaped from their demise can be found around previous battle sites. All of this is happening around you and you can interfere with it. This is the First of many, there will be many more updates and changes in the future. Shaping and improving the future of the game.